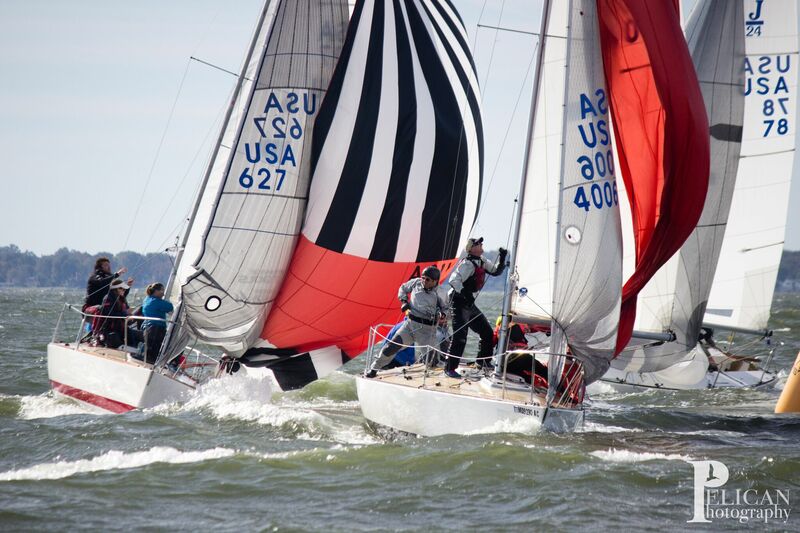 J/22, J/24, J/105 Championships and More Racing Roundup: Here’s your SpinSheet Racing Roundup for October 27-29 on the Chesapeake. 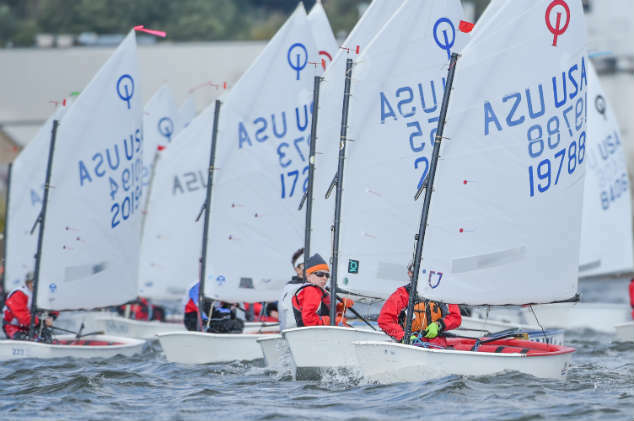 Congratulations to Brad Julian, who placed first of 24 at the J/22 Mid-Atlantics last weekend, October 27-29, out of Severn Sailing Association. Mike Marshall on Bad News and Jeff Todd on Hot Toddy placed second and third respectively. 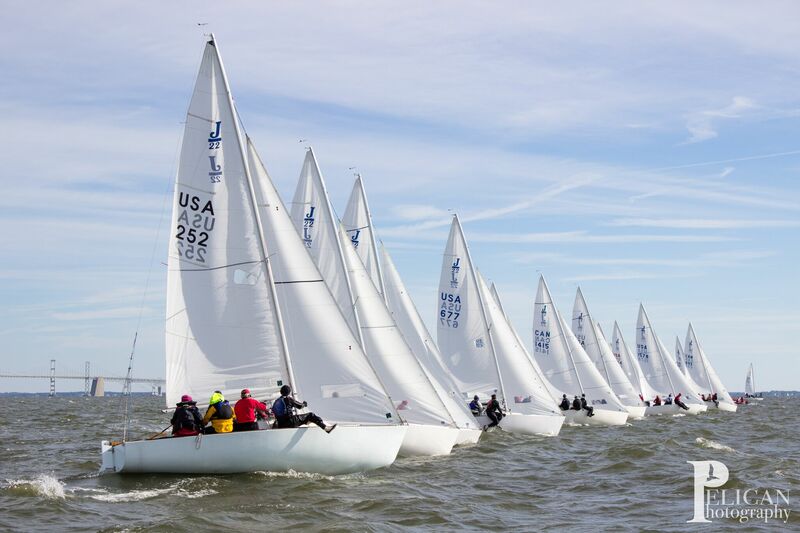 Find full J/22 Mid-Atlantic results here. Congratulations to James Bonham, who proved victorious in the 25-boat fleet at the J/24 East Coasts. Tony Parker on Bangor Packet and Travis Odenbach on Honey Badger placed second and third respectively. Find full J/24 ECC results here. 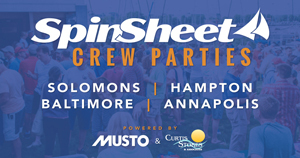 Hosted by Annapolis Yacht Club. Results below and complete J/105 results here. The Leukemia Cup Fantasy Sail with Gary Jobson took place this weekend on Harbor 20s, also hosted by AYC. This event celebrated Gary’s 25 years of service to LLS. Final Fantasy sail results are here. Nothing like the sight of a slew of Optis on the water on a windy fall day. Here are final results of AYC’s Halloween Howl. 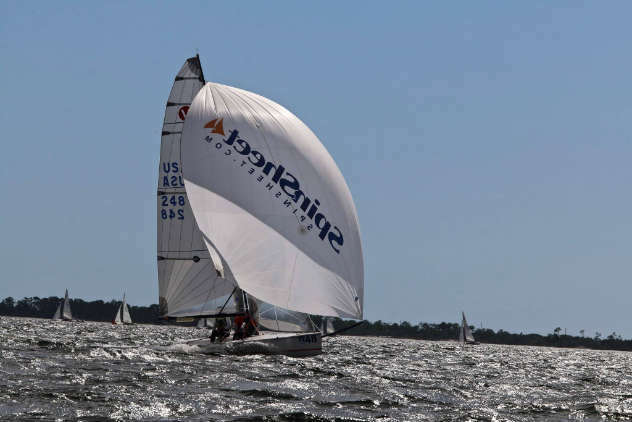 Congratulations to Chesapeake sailors who competed in the 2017 Viper 640 Nationals at Fort Walton YC in Fort Walton Beach, FL, last week. 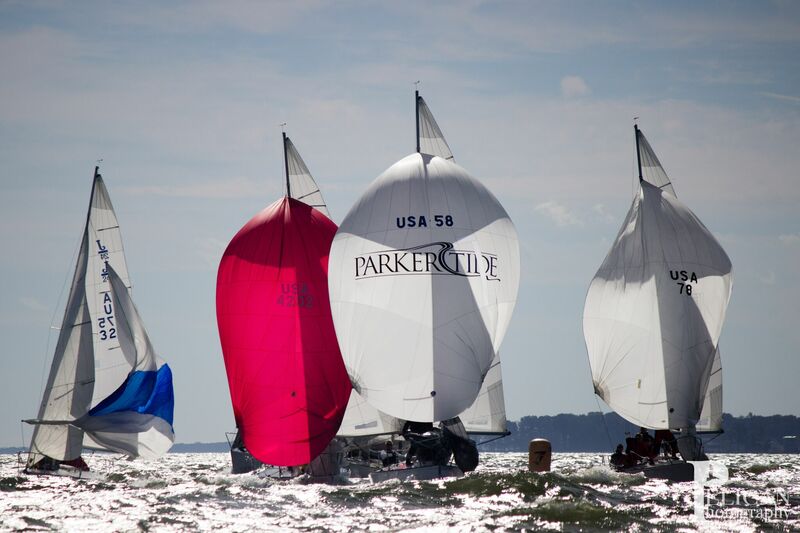 Lin McCarthy reports: “After 11 races the nine Vipers with Southern Bay attachments did fine in the very competitive 54-boat fleet. Finishing overall in the Top 10 were Zeke Horowitz with Ian Coleman and Luke Lawrence – 4th and Mary Ewenson with Geoff Ewenson and Skip Dieball – 6th; and, Dave Nickerson with Moise Solomon and Scott Lemming – 7th. Also enjoying the Florida breezes were Jay Rhame and Peter Beardsley (12th); Henry Amthor (19th); Jonathan Colarusson and Sarah Schaill (25th); Peter ill (30th), Steve Taylor (31st) and Cole Constantinea and Eleni Asimacopoulos (42nd). Find final Viper nationals results here. PHRF A (6 boats): 1.Craig Wright, Afterthought; 2.Glenn Doncaster, Nanuq; 3.Mayo Tabb, Excitation. PHRF B (6 boats): 1.Bob Fleck, Mad Hatter; 2.Dennis Hannick, Goin’; 3.Lud Kimbrough, Nostalgia. PHRF C (4 boats): 1.Paul and Julie Wash, Cheeky Monkey; 2.Burke Johnson/Hal Starke/Rick Peterson, Play it Again; 3.Brad Miller, Schiehallion. PHRF Non-Spin (3 Boats): 1.James Sturdy, Wendas; 2.Mike Dale, Juggernaut.